Starting from high in alpine communities to the grasses of the valley below, the Kaweah River has one of the steepest elevation drops from the Sierra Nevada within the state. 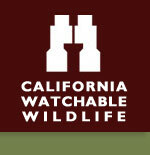 Background: Area has wildlife unique to riparian area that includes many waterfowl, birds of prey, and songbirds. Mammals may often be present along the hill sides, for example Coyotes, Bobcats, and possibly deer. Lake Kaweah has a number of native cultural sites including grinding rocks, burial grounds and ceremonial sites. The Vistor Center gives a tour of histoy about the Native Americans in this area, and the different recources they used to make weapons and tools. The Habitat: The Kaweah River has one of the steepest elevation drops from the Sierra Mountains within the state. It starts from high alpine communities through forest and then rushes through the foothill woodlands to the grasses of the valley. Riparian habit 16%, Grassland (33%) and oak savannah woodland (51%). The Experience: Terminus pond below the dam has limited visitor use so wildlife (deer, bobcat and a variety of bird life) is not disturbed and frequently seen. Wildlife and Where to Find It: Car, trails, boat, and overlooks. Viewing Tips: Birding and fishing in winter, wildflowers and migratory bird species in spring and fall. Summer is busier with boating, fishing and other recreational activities. Site Notes: A visitor may see shorebirds, ducks and wading birds throughout the year at various locations around the lake. Keep your eyes to the sky and you might catch a glimpse of an Osprey or even a Bald Eagle in the winter months. Nearby Viewing Sites: Sequoia National Park is within 10 miles of the upper portion of Lake Kaweah. Festivals & Events: Field Trip Locale with Tulare County Audubon. On site: National Public Lands Day, Kaweah Invitational High School Cross Country Race. Seasonal: Some areas are closed during critical nesting periods and vehicle access to some areas may be limited. How to Get There: From Visalia, CA: Take CA-Hwy 198 east out of Visalia for 25 miles, Turn left (north) on Sierra Drive into Park Headquarters.